Water can ruin even the most meticulously planned building. Without proper drainage, provided by high-quality drainage boards, water damage and hydrostatic pressure can wreak havoc on a foundation. Drainage boards designed for larger projects must also be able to sustain tremendous compression without suffering damage or reduced flow. 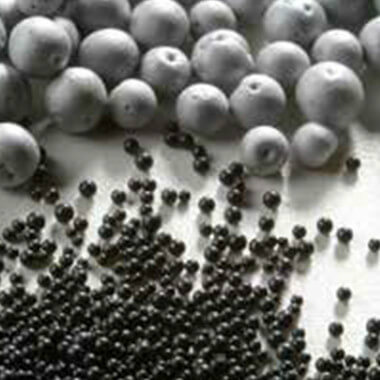 The increased demand for green building materials has further raised the bar for effective commercial drainage boards. Mar-flex’s exclusive ShockWave Drainage and Insulation Boards have the highest drainage and compression rates of any product on the market, are made of 100% recycled material, designed to the highest level of LEED compliance, and do not degrade when exposed to water and soil. ShockWave’s distinctive look is the result of cross-linked Polyethylene foam which has been reclaimed from the American automotive industry. Water travels a natural path through the material, away from the foundation, and into a structure’s drain tile system. Shockwave is easy to handle and install. 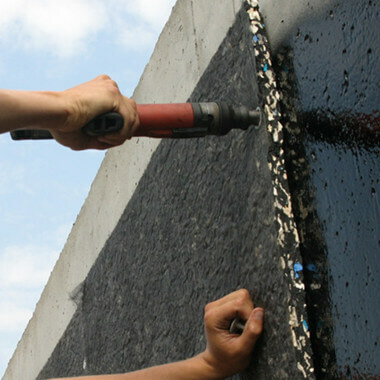 The boards can adhere to walls directly following the application of a Mar-flex waterproofing membrane, and can be further secured using Mar-flex GeoClips and fasteners such as concrete nails. 1″ Shockwave has 40 pieces per pallet that are 3′ X 4′. Each pallet contains 480 square feet. 2″ Shockwave has 20 pieces per pallet that are 3′ X 4′. Each pallet contains 240 square feet. bond until backfilled. May be installed into concrete with hammer. 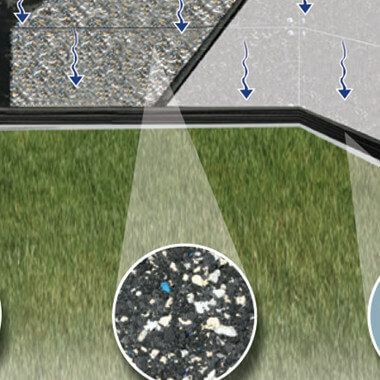 Geo-Mat+ Drain Roll provides the ideal drainage material. 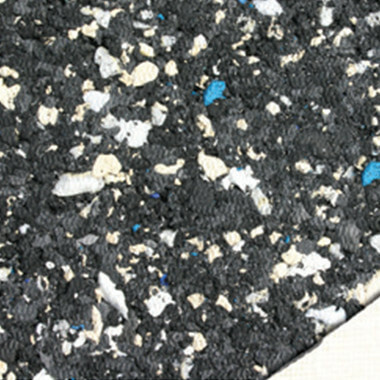 Geo-Mat+ Drain Roll is a combination of a high density polyethylene roll and a polypropylene geotextile mat.